And friend before we dig into this BIG discount grocery haul any further I want to remind you to NOT MISS the new large family freezer meals collection that’s currently $54 off! Snag large family freezer meals packs 1, 2, 3, 4, 5, and 6 now through 11/19/18 for only $35 ($85+ value!). Last week Amelia and I had a girl’s evening out and hit several of our favorite discount grocery stores and one of our favorite thrift stores as an added bonus!! 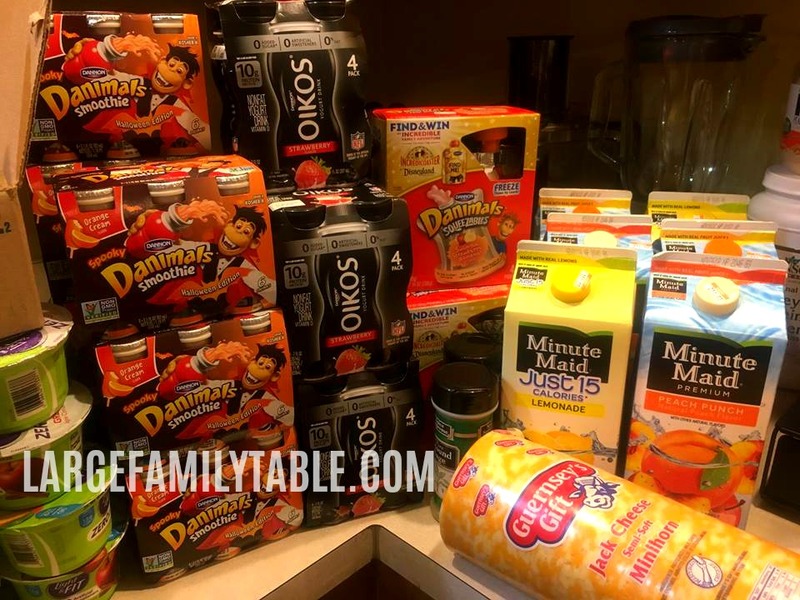 You are going to enjoy this big family discount grocery haul and all the savings we were able to take advantage of while shopping. And we have to agree, Amelia sure is the cutest grocery shopping helper girl. Click here to watch the full 😍 The CUTEST Grocery Shopping Girl | 🛒 ALDI, Sharp Shopper, Good Will | BIG Family Groceries vlog on YouTube! See us shop these discount stores, snag great deals, and have a great evening out and about together! At Aldi I was able to get a great deal on grapes! The big King grapes were only $0.89/lb and the black grapes were $1.59/lb. Besides other fruits, veggies, milk, and eggs, I additionally got supplies to make several goodies for upcoming “Friendsgivings” parties and homeschool group events. The deals I got at Sharp Shopper Grocery Outlet were crazy good as always. I got name brand yogurts 4/$1, Greek Yogurt smoothies 4/$1, juices for $.50 each, and many more incredible savings! 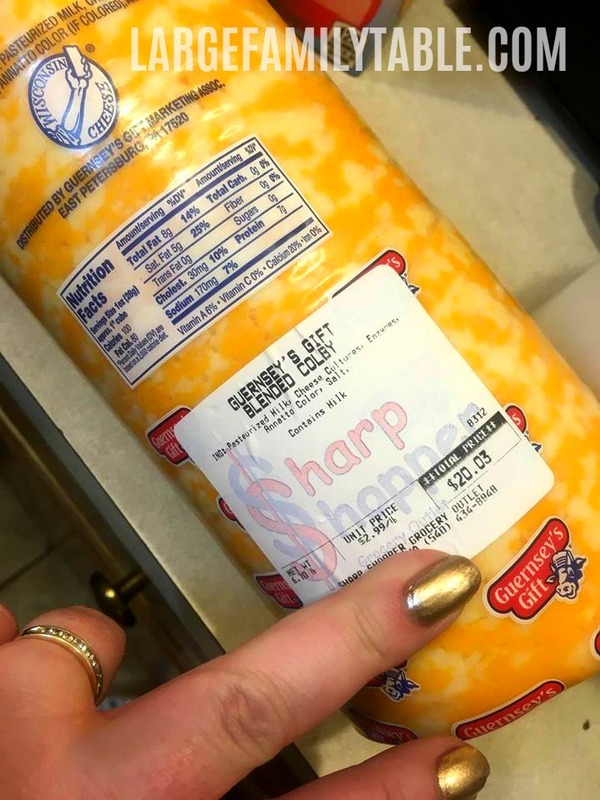 I bought a 6 .lb cheese roll that we always like to pick up at Sharp Shopper. Travis will cut this 6 lbs of cheese into cheese sticks for our family in the coming weeks. Well, LOOK AT THOSE Awesome Grocery Deals! 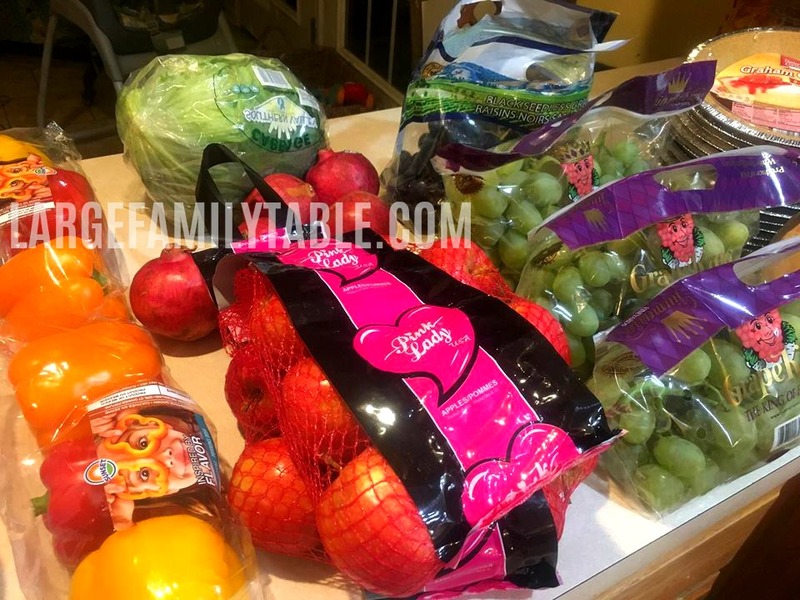 | BIG Family Groceries and Savings!! And here’s the brand new Well, LOOK AT THOSE Awesome Grocery Deals! 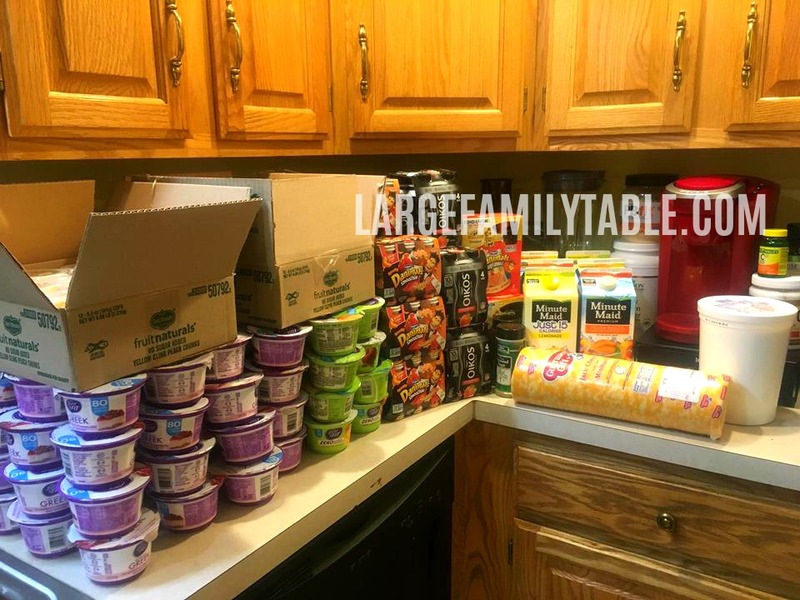 | BIG Family Groceries and Savings!! vlog that came out today on YouTube! In this new video, you’ll get the rundown of all the discount grocery shopping prices for both ALDI’s and Sharp Shopper. 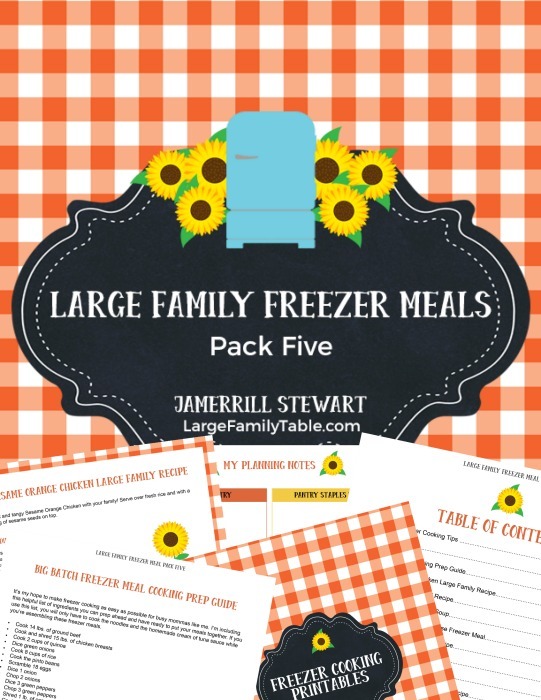 There are less than 48 hours left to snag the super discounted Large Family Freezer Meals Collection here! Don’t miss out and grab this freezer meals savings now and save $54!! 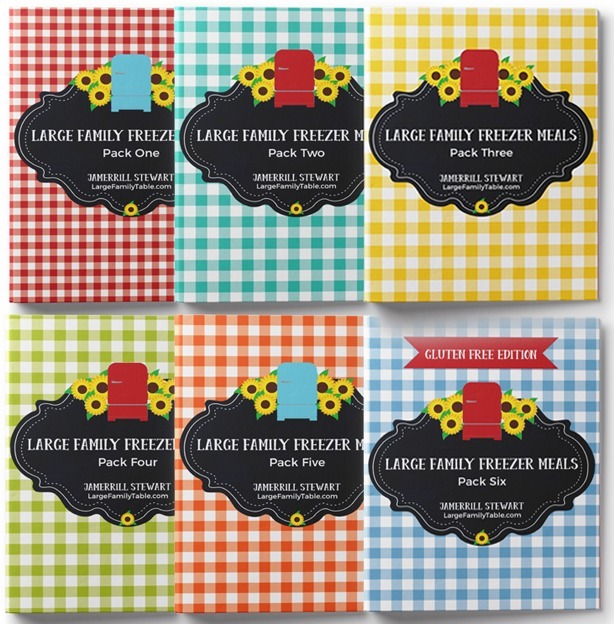 You can see all the freezer meal recipes including the big batch grocery shopping lists, big batch cooking guides and more here in the large family freezer meals collection. I am so jealous of your discount hauls! My kids would be in heaven; they love yogurt. There is a store in my area that has doorbuster sales weekly but it’s such a madhouse!